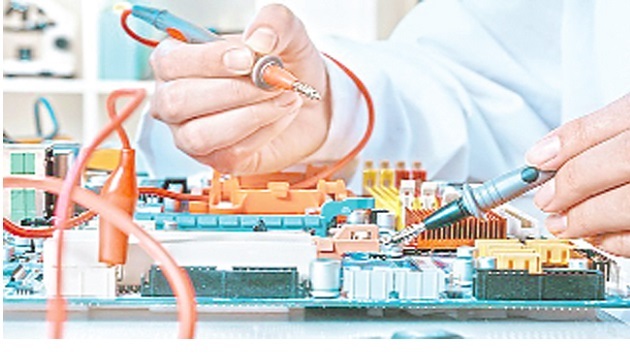 First of its kind in the country, a mega company in the electronics manufacturing sector would establish its unit at Tirupati in Andhra Pradesh. Chief Minister N Chandrababu Naidu entered into an agreement with the representatives of the company on August 6 in this regard. The company invested Rs 1,400 crore and it provided 6,000 jobs for people in the state. The ministry of IT department is making efforts in this regard and the company’s name would be revealed on the day of agreement as there was huge competitors from the neighbouring states, according to communique from the Ministry. So far, assembling units of electronic products have only been established in the country. Now, the proposed company expressed interest to produce camera modules and TFT screens. The company would establish its unit in two million square feet space at the electronic manufacturing cluster-2 in Tirupati. Moreover, the company is going to start its first unit in the country. The company accepted to invest in technology, research and development sectors in the state. The company would also start center of excellence in research and development. According to department of Information Technology, the company has decided to invest in the state by rejecting the offers from Noida-Delhi and Maharashtra. The team members of Andhra Pradesh visited China two times for convincing them to invest in the state. Minister for Information Technology Nara Lokesh also met the representatives of company and explained the investment opportunities along with the state government’s encouragement and invited them to start their unit in the state. Finally, the company has taken decision to launch their unit in the state following the relentless efforts of government.The company could supply spare parts to all mobile companies in the country, said the IT ministry. The company details would be revealed by minister for Information Technology Nara Lokesh along with the company representatives at the secretariat on August 6, the officials said.